Our community is celebrating Israel's 70th birthday with a year of food, films, social action, concerts, speakers, family events and more - and you are invited to join the fun! 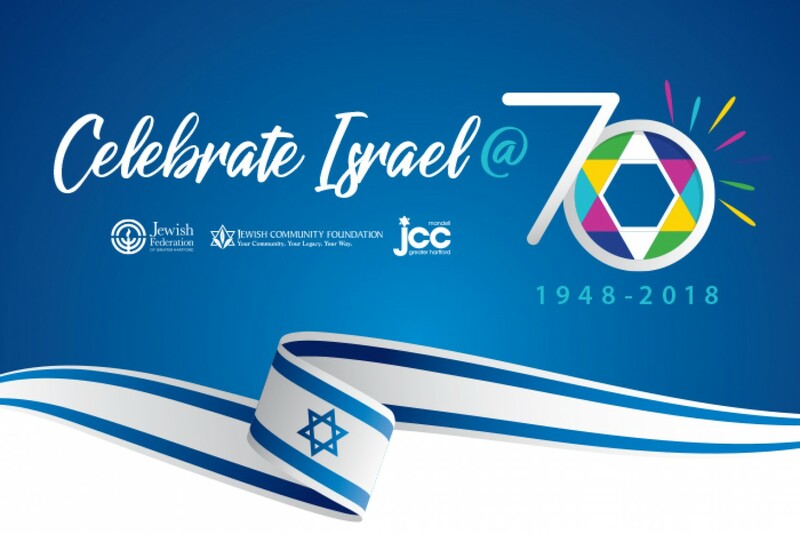 Israel@70 is jointly presented by the Jewish Federation of Greater Hartford and the Mandell Jewish Community Center, with generous support from the Jewish Community Foundation. All Jewish organizations in Greater Hartford are invited to participate. To learn more or to get involved, contact Ronny Siegel at 860.727.6150 or rsiegel@jewishhartford.org. Click here for a complete list of Israel@70 events. Click here to learn more about Israel@70 sponsorship opportunities.